A Day In The Life...: I Dare You! 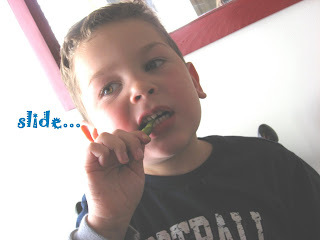 Are you brave enough to try EDAMAME? Or maybe you already have... we love it! They are soy beans steamed with salt sprinkled on them... and they are terribly addicting. Hmmmmmmmmm... I'll have to try them! Thanks for giving me the tip about not eating the skins, I would have tried!